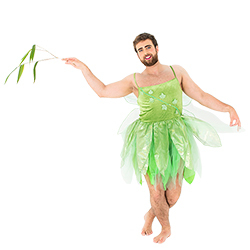 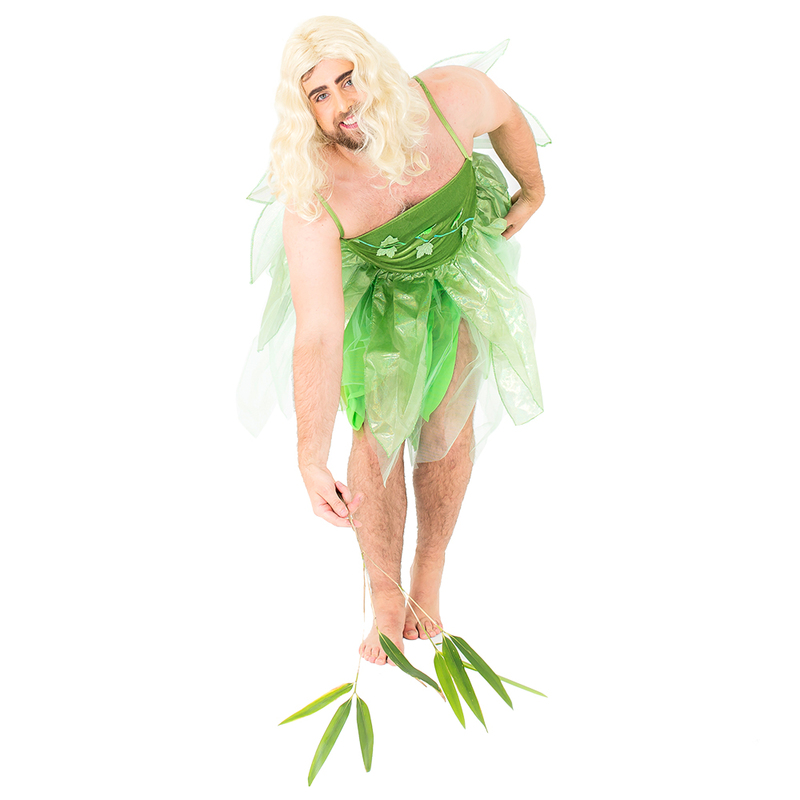 A hilarious green glittery fairy costume which is perfect for making your mate look like a right fairy. 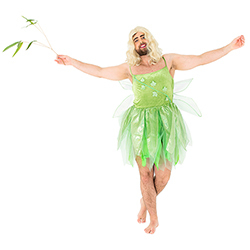 This drag outfit comes complete with the green dress and wings, both have a glitter effect finish which makes them stand out. 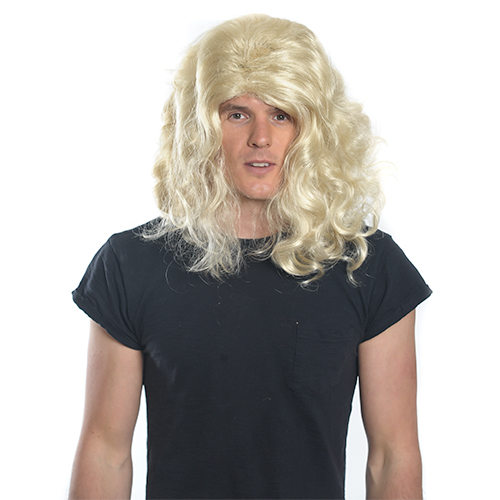 The outfit doesn't include shoes but then this would be fairly impractical anyway as he wouldn't be able to walk, a wand is also just going to get lost so all you need is the wig really and you're ready to go. 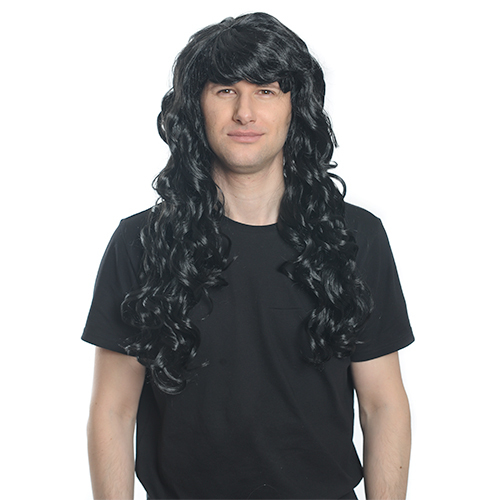 Fits up to a 46 inch chest.